Kitchen is one of the most important part of any household. We spend a lot of time there in order to cook food, wash dishes etc. In order for us to use the time spent in the kitchens efficiently, we have to understand the importance of various measurements involved in the Indian kitchens. 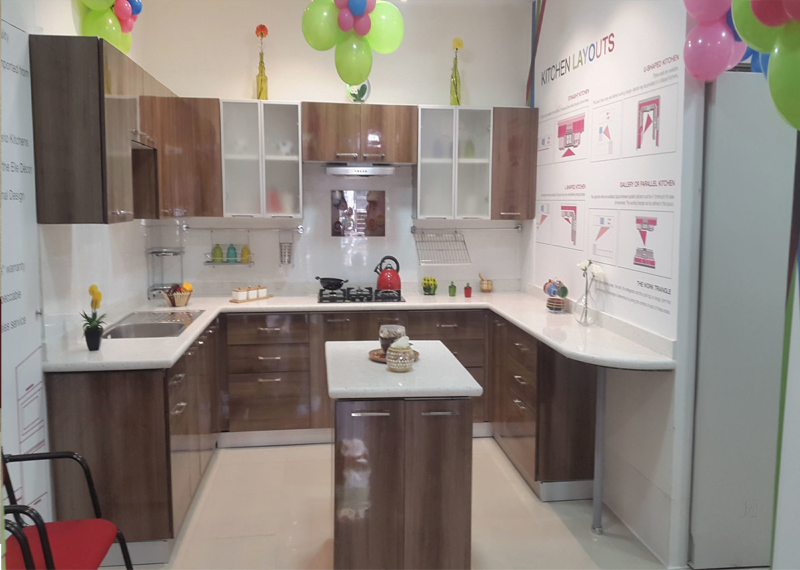 Most of the Indian Kitchens are Semi modular as the structure and the counters are usually laid by the builders themselves. Yet, it is vital to understand various aspects of the kitchen to be efficient. Preparing Counter: The purpose of this area is to cut vegetables and to do the prep work. The height of this area of the counter should be around 3 or 4” below the elbow of the user. Cooking Counter: This is the area in which we have the stove, hence the height has to be a little lower so that the hot oil does not splatter to the face. The height of the cooking counter should be around 5” below the elbow of the user. Low-Level Counter: This area is where the intensive tasks are done, where the user has to be literally on top of the things like dough kneading, meat butchering etc. The depth of the counter for Indian women is 24”. Again, the depth varies based on the size of the user. If the user is short, then the depth of the counter can be reduced a little in order for the user to have a better access to the wall cabinet. If we have a small kitchen, then the depth can be around 18” for the user to have a better moving space in the kitchen. If the sink, the stove and the refrigerator are considered as the vertices, the kitchen triangle can be constructed. The circumference should not be more than 275” for an optimal usage of the kitchen space. 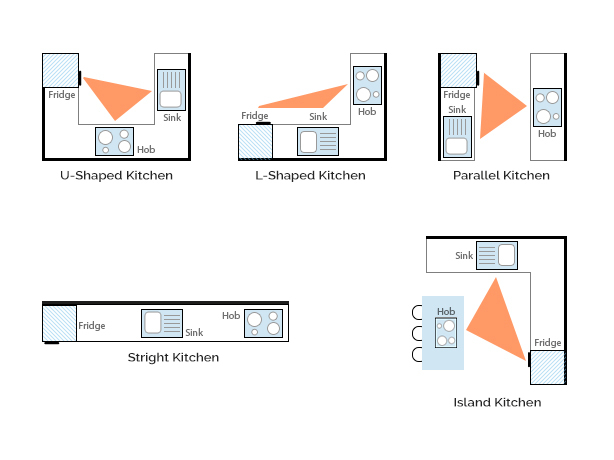 The triangles for different kitchen layouts are as follows.